A while ago I was sent a little selection of products from The Bubbles & Butters Company - a new and exciting company to have launched in the UK. I love a good pamper session so I was really looking forward to trying them out! The products I got to try were the Chocolate Bubble Bath, Strawberry Body Butter and Chocolate Shower Bubbles, although they do Mango products too which I wish I'd asked to try! The products I got smell absolutely amazing. Seriously. My particular favourite scent is the Strawberry Body Butter - it smells SO sweet and delicious - it's the nicest smelling body butter I've ever used. 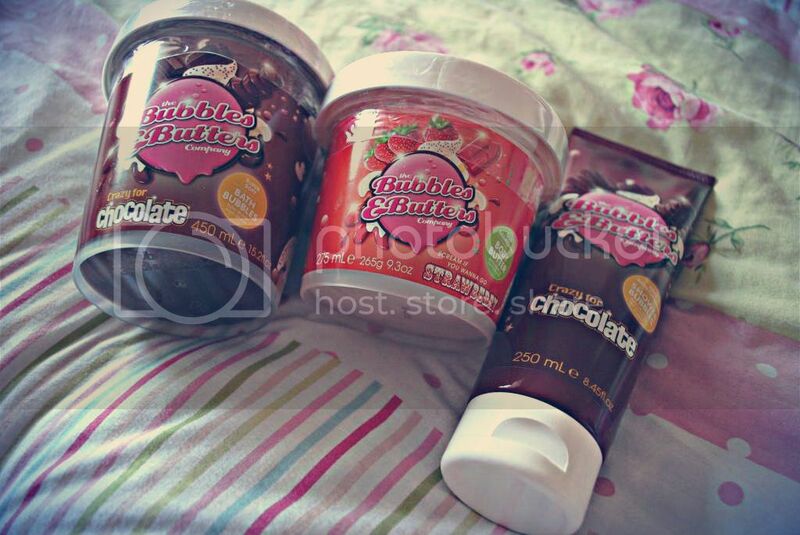 As for the Chocolate Bubble Bath and Shower Bubbles - they smell pretty damn amazing too. I LOVE the smell of chocolate (I once had a cuddly chocolate moose that smelt like chocolate - mhmm memories) so I adore both of these, although I think if chocolate isn't your cup of tea these will overpower you a bit. 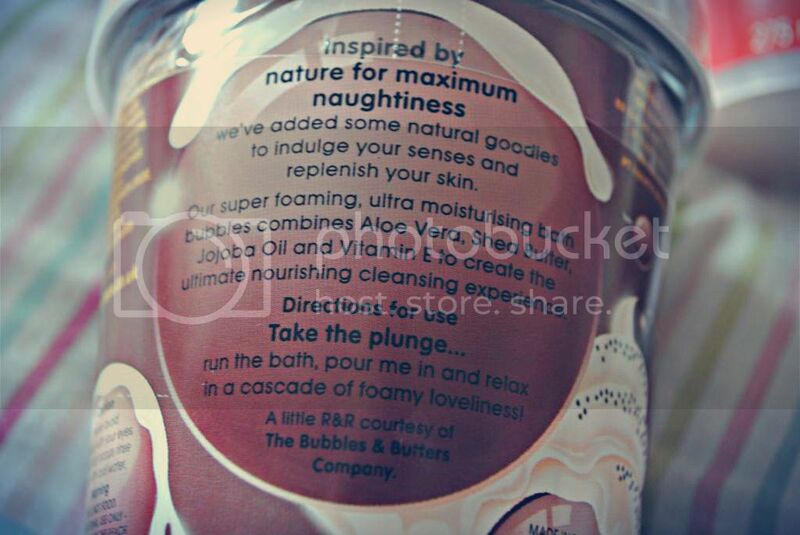 The products themselves are great - the body butter is super moisturising as well as making your skin smell irresistible, the shower bubbles are a really fab idea for anyone who's not so keen on bubble baths (they're basically a shower gel that bubbles up as you wash) and the bubble bath did the job as well as making my bathroom smell absolutely divine - although there weren't quite as many bubbles as I'd hoped. What I really love about this range is that they all contain Shea Butter, Aloe Vera, Jojoba Seed Oil and Vitamin E - all fabulous components that make these products extremely moisturising and nourishing. I'm really impressed with these products, and they're available at Tesco Beauty stores and online at www.bathandbodyshop.co.uk. The range is really good value too - with products starting at £2 and going up to £6.